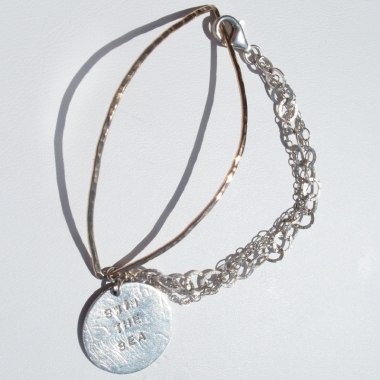 This hammered 14Kt gold-fill "eye" bracelet is connected with three different sterling and 14Kt gold fill chains. 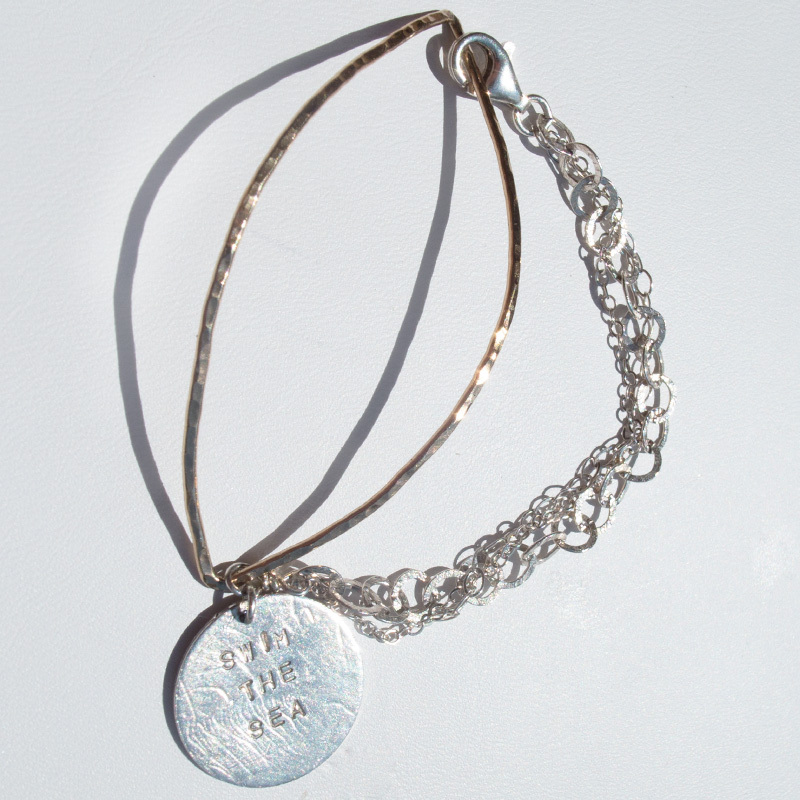 It has a small sterling charm with a beautiful quote from Ralph Waldo Emerson: "Swim the sea". Choose your quote: "Live in the sunshine", "Swim the sea", or "Drink the wild air".